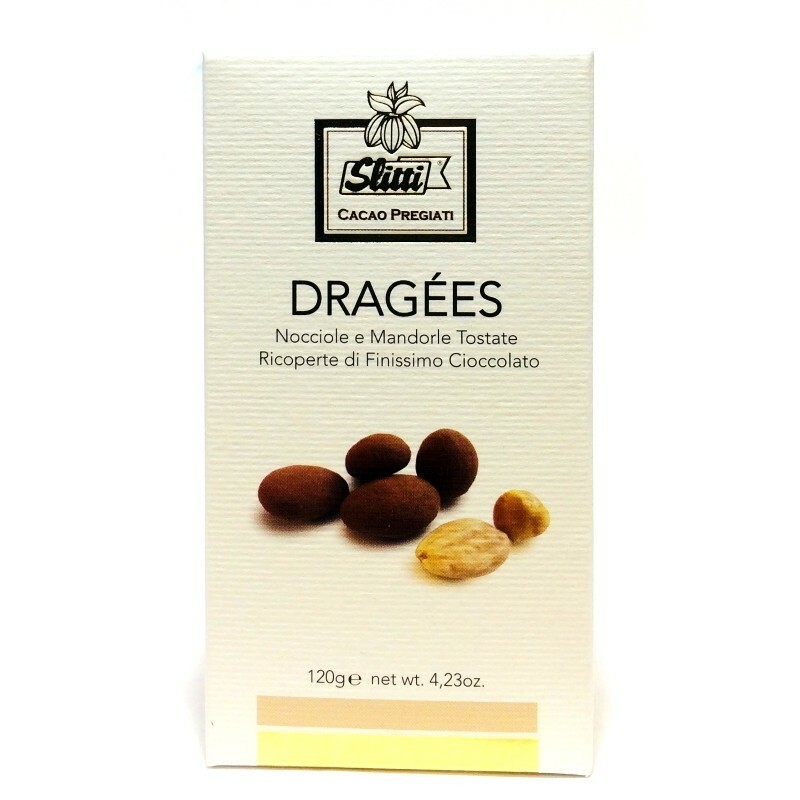 These chocolate Dragées combine Italy’s finest hazelnuts and almonds which are covered in a unique pure blend of chocolate. 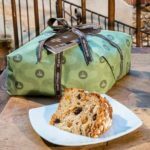 They are made in Tuscany by Andrea Slitti, one of the most renowned chocolatiers in the world. 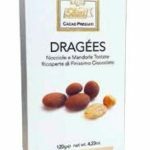 Langhe IGP hazelnuts and Sicilian almonds (the best!) 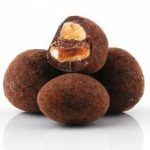 are coated with a special blend of milk chocolate (60% cocoa) and finished with a sprinkling of extra-fine cocoa powder. Amazing, see the photos below. 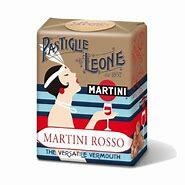 They come in a stylish presentation box and make an original, delicious gift for everybody! 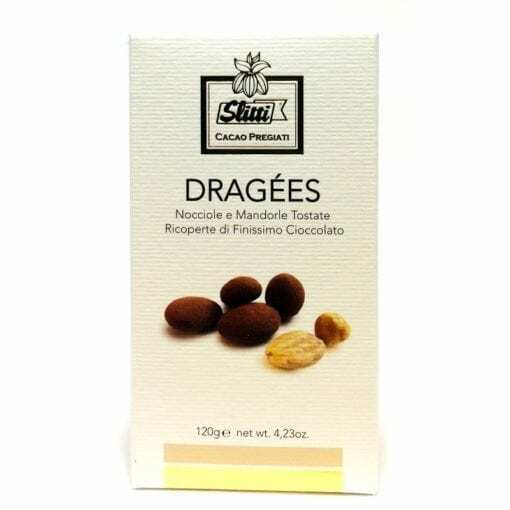 These chocolate Dragées combine Italy’s finest hazelnuts and almonds which are covered in a unique pure blend of chocolate.They are made in Tuscany by Andrea Slitti, one of the most renowned chocolatiers in the world. 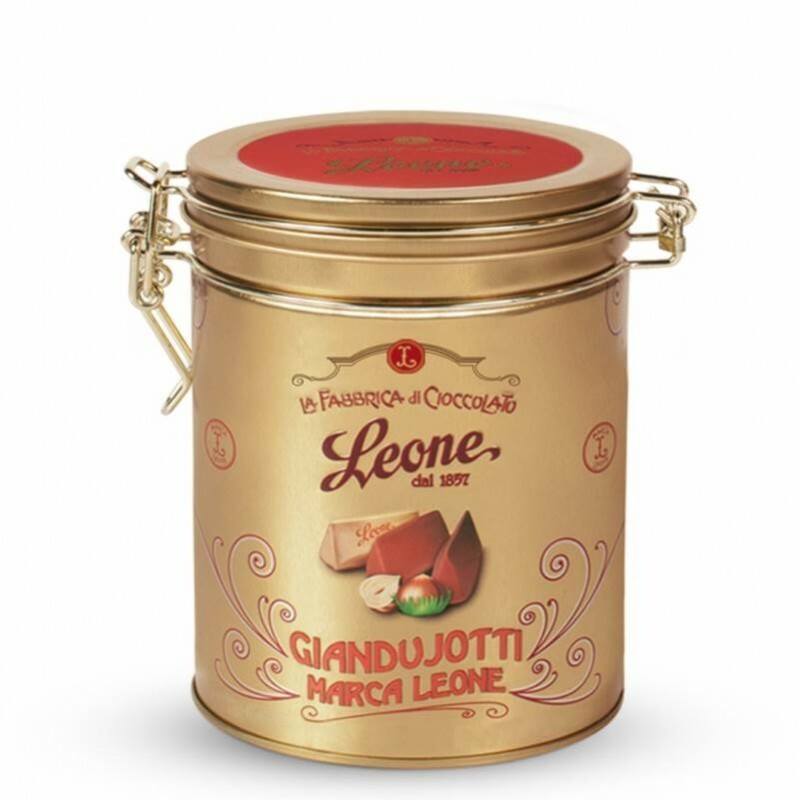 World-famous aromatic hazelnuts from the Langhe area of Piedmont and sweet almonds from Puglia really stand out in this original, gourmet product. They are coated with a special blend of milk chocolate (60% cocoa) and finished with a sprinkling of extra-fine cocoa powder. See the photos below. 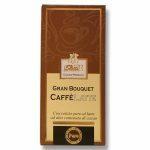 They come in a stylish presentation box and make an original, delicious gift for anyone. hazelnuts 18% roasted, roasted almonds from italy 18%, extra fine milk chocolate 53%: sugar, cocoa butter, whole milk powder, cocoa mass, vanilla extract, extra bitter chocolate 11%: cocoa mass, sugar cocoa butter, coating: bitter chocolate powder 22%, cocoa butter.